Bryan Graf is an artist based in Maine and New Jersey. 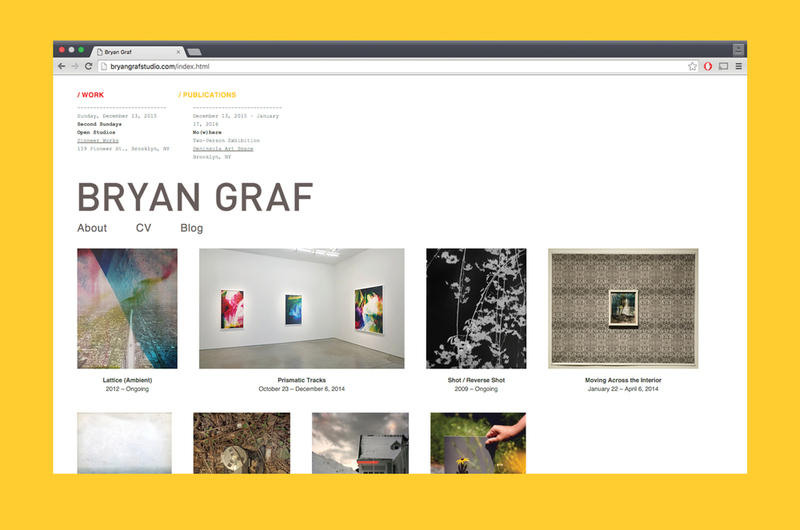 PATH developed a responsive website that features his work, exhibitions and publications. Bryan is represented by Yancey Richardson Gallery in New York City and Halsey Mckay in East Hampton. His work has appeared in publications including Blind Spot, Harper's and The New York Times. Bryan is a 2016 grant recipient from The Pollock-Krasner Foundation.